On the evening of October 25th at the Huckleberry in Shoreditch London, dozens of Bitcoin professionals, enthusiasts and media gathered at the London BCH Speaker Series II, an event organized by Cryptartica. The purpose of these gatherings is to nurture the local Bitcoin BCH community and help spread the word on this game-changing technology. Following the success of the first London BCH Speaker Series in July 2018, a similar format was adopted for the second edition, with a networking drinks reception followed by several short presentations, a networking break, several more presentations and a closing networking session. What was different this time was complimentary BrewDog beer for everyone and post-sessions pizza, compliments of CoinGeek. Speakers on the night included Petter Ikekhua of CoinGeek.com who talked on merchant adoption and the onboarding process, Bitcoin.com & BitBox’s Gabriel Cardona, a wormhole developer who was unable to attend in person but delivered a presentation remotely, Martin Dempster of BrewDog UK Craft Beer, a brand who has just started accepting BCH at their Canary Wharf branch and Alex Agut, founder of HandCash, a user-friendly Bitcoin Cash wallet. Ikekhua kicked things off by recapping the top reasons why BCH is a WIN for merchants, the questions and concerns merchants commonly have and how he can personally help merchants onboard BCH as a method of payment. “What I do is I speak with merchants on a consultant basis, so I try to understand what the challenges are, what the requirements are to actually accept this new currency. For a lot of merchants its also their first time, so there is fear and hesitance to get in, so I kind of demystify the process and I do this usually through presentations and demoing examples of solutions out there”, he told CoinGeek.com. 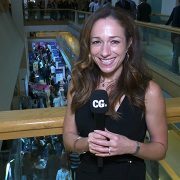 Merchant adoption is set to be a major topic at the upcoming CoinGeek Week Conference in London at the end of November and according to Ikekhua, attending the conference will provide a unique opportunity for merchants and BCH enthusiasts alike. “The primary reason to come to CoinGeek Week is because we’re actually hosting and inviting a lot of the industry leaders to come and share their expertise. I’m one person, but there are so many more people out there who are smarter than me, more experienced and have the information who can help other merchants make an informed decision in adopting Bitcoin Cash”, he shared. An ideal example of a successfully onboarded merchant by Ikekhua and team comes in the form of BrewDog, a Scottish brewery and pub chain. Martin Demptser of BrewDog delivered a presentation on the night, highlighting a successful promotion for the opening of their Canary Wharf pub, where the first 100 customers were given BCH to spend at the bar. “We had all these people streaming in the door, they got an opportunity to get their hands on available amounts of Bitcoin Cash and they were straight up to the bar to actually use it”, he said. “I think for me it was just really exciting to see this plan come into fruition and see loads of people using the technology for the first time. I’m a firm believer that the ultimate success of the technology is just going to be about adoption and hopefully we’ve done our little small part to help that along”, Dempster added. In order to push merchant adoption forward, the industry needs a simple and efficient way to transact and the founders of Handcash believe they have the perfect solution. Alex Agut, Co-Founder of Handcash delivered a presentation on their easy-to-use Bitcoin wallet and shared some plans for the future. “Handcash is a Bitcoin wallet you can recommend. The focus has always been in making it very, very easy and straight forward for newcomers to understand that the value of Bitcoin is to send instant transactions anywhere in the world for very low fees”, he said. “We are realizing a set of SDKs called Cash Port, so that will allow any app or any game to integrate Bitcoin Cash in a few minutes and it requires zero Bitcoin Cash knowledge and it is basically doing for businesses what we are doing for users with Handcash”, Agut added. Another nice touch on the evening was a little BCH chocolate bar surprise thanks to Mark Winder, BCH enthusiast. Winder hand-crafted custom wrappers for Galaxy milk chocolate bars and those who purchased the goodies at £5 a pop were awarded with a sizable amount of BCH (thank you to nChain for the last minute donation!) after scanning a bar code on the inside of the wrapper into their BCH wallet. “What you’re seeing here is about a pound’s worth of chocolate which is genuine Galaxy Chocolate. As you can see, it’s a rip off of the Galaxy wrapper and inside each one there’s a private Bitcoin Cash wallet and that has a random amount of Bitcoin cash ranging originally from 50p to about 10 pounds which is where I put the other 4 pounds”, Winder explained. “Since then, we’ve had a donation from nChain which has increased the prize money which is very generous of them, one or more people have donated smaller amounts and the money when its donated, I have something running on my computer at home which then splits it up amongst the 100 bars in the original proportion”, he added.